"The album is essentially a psycho-dramatic sequel to the highly acclaimed We Gave It All Away, Now We Are Taking It Back album from 2009, as it is musically a blend of originals and remakes made into originals, as well as solo performances and external collaborations from the band's musical core members, Knut Saevik and Paul 'Strangefruit' Nyhus. 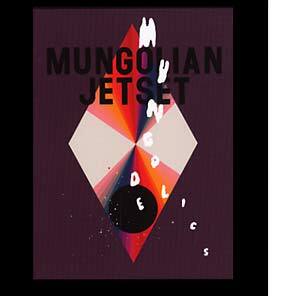 Mungodelics musically summons everything that is hazy, dazy, underearthly and crazy. Features collaborations with Jaga Jazzist, Athana, and Unni Wilhelmsen."